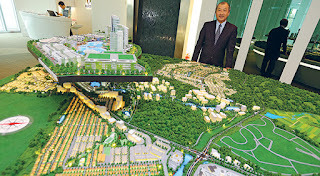 After registering its highest-ever revenue and net profit over the last three financial years, Matrix Concepts Holdings Bhd aims to be a tier-one property developer with a market capitalisation of over RM3 bil via a bigger sales team as well as expansion into the Klang Valley and overseas property markets. 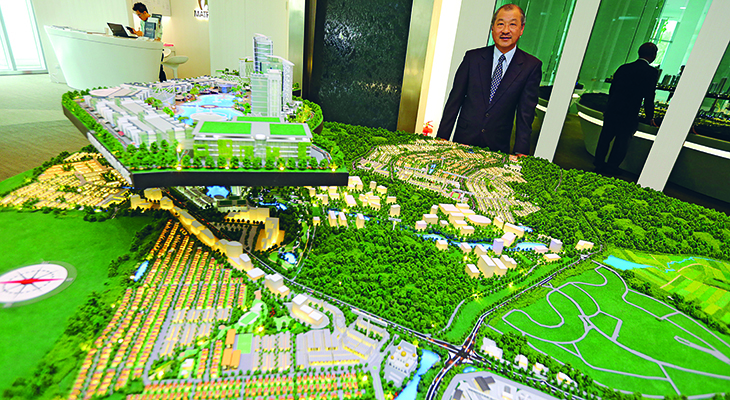 The Seremban-based developer also aims for a recurring income of some 30% of the group’s earnings in five years. Matrix founder and managing director Datuk Lee Tian Hock tells FocusM the group intends to double the company’s current market cap at around RM1.5 bil in line with its vision of becoming a tier-one property developer over the next five years. “In the property industry, a company with a market cap below RM1 bil is tier three, RM1 bil-RM3 bil is second-tier while tier one is above RM3 bil. We are in tier two and we aim to be first-tier in five years,” he says. For its latest quarter, Q1FY15, the group’s net profit has jumped threefold to RM115.45 mil from RM38.55 mil in the last corresponding quarter; while its revenue has surged 135.79% to RM317.61 mil.